Of all the questions you may have when buying a home, one of the biggest that may stump you is this: How much mortgage can I afford? After all, the amount of money you can borrow could spell the difference between snagging your dream home or being priced out of your favorite neighborhood entirely. Of course, one way to know for sure is to head to a lender and get pre-approved for a mortgage—that way you'll know exactly how much money you can spend on a house. Still, if you don’t want to wait until the banks open (e.g., it's 2 a.m., you've found the perfect home online, and you need to know right now if you can buy it), there are ways to do the mortgage math yourself. The beauty of a mortgage is that you can pay it off over time rather than all at once (otherwise, you'd just pay cash upfront). Still, this complicates matters because you have to not only figure out what you'll have to pay every month, but also factor in interest—that's the extra money you give your lender for the privilege of borrowing all that cash. Then, on top of that, you will also have to pay property taxes and home insurance. So how can you figure all that out? 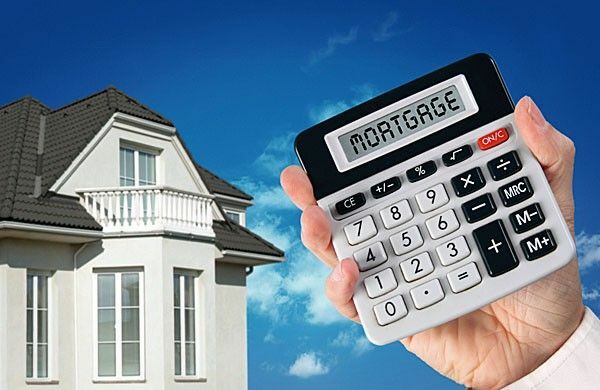 Luckily there are online mortgage calculators that make the number crunching easy. All you have to do is enter the price of the house you're eyeing, as well as what you've scrounged together for a down payment and the terms of your loan. Let's say, for instance, that you've found a home in Toledo, OH, for $200,000. Presuming you have $40,000 to put toward a down payment and you get a 30-year fixed-rate mortgage at 4%, this will mean your housing payments will end up being around $1,022 per month ($764 to your mortgage, $208 to property taxes, and $50 to home insurance). These monthly mortgage payments will change based on the terms of your loan and other factors, explains Keith Canter, CEO of First Community Mortgage in Murfreesboro, TN. For instance, if instead you get a 15-year mortgage at a 3% interest rate, your payments rise to $1,363 per month. Put down only $20,000 as a down payment, and your monthly payments rise further, to $1,595. The area you buy in also makes a huge difference, because property taxes vary wildly. Toledo's may amount to $283 per month, but in Birmingham, AL, you'll pay less than half that, at $125. Knowing how much a mortgage will cost per month is helpful, but still, another question remains: Can you handle paying it? To know the answer to that, you'll have to factor in a few more numbers of a more personal nature—namely, your income and monthly debts. Understanding why income is important is easy—the higher your salary, the more money you can put toward a mortgage. Still, the funds you're funneling every month toward debts—like college loans, car payments, and credit cards—can put a crimp in how much you have for home financing. But how much? Simple: Just navigate to a home affordability calculator and enter the necessary info, including your income, debts, and down payment, to find out how much house (and mortgage) you can afford. In Toledo, for example, if you earn $60,000 per year, pay $500 per month to debts such as credit cards, and have $40,000 for a down payment, then you can afford a house worth $228,500 at 4% interest—which will amount to monthly payments of $1,298. Keep in mind that as useful as these tools can be for fleshing out a budget, these numbers are just estimates. You will need to talk to lenders to learn exactly how large a home loan they are willing to give you. Still, having a general understanding of the numbers you need is a good place to start—and can help you set your sights on homes that are realistically within reach.